Manuel Antonio National Park is perhaps the most famous of the National Parks and Reserves within Costa Rica. The park spans a total of 1700 acres of land and extends out into 135,905 acres of marine reserve. Manuel Antonio National Park features 4 absolutely gorgeous and unspoiled beaches, miles of hiking trails, and all the wildlife you could ever hope to see. Toucans, Titi monkeys, Capuchin monkeys, sloths, basilisk lizards, iguanas, and tree frogs are all residents of this truly incredible Costa Rican National Park. Manuel Antonio National Park also has brand new bathroom facilities, drinking fountains, and, in the case of handicapped clientele, access via vehicle can be arranged. Our staff at Villa Manuel and The Loft will be happy to arrange for a guided tour of the park, so you can learn all about the rain forest and see the creatures that live there. Manuel Antonio is home to three different species of monkeys: Titi, or squirrel, monkeys; Capuchin, or white-faced, monkeys; and Howler monkeys. All three of these species are incredibly active and abundant throughout the entire town. In fact, you’re likely to hear the early morning wake-up call of the Howler monkeys, and it’s no surprise to see a clan of squirrel monkeys springing after each other, catapulting from tree branch to tree branch. The wooded area visible through the floor-to-ceiling glass windows in Villa Manuel and The Loft are teeming with all three kinds of monkey, so prepare yourself for their frequent visits. You’ll find that the monkeys are most active in the early morning hours from 4am to 6am, and in the early evenings from 5pm to 7pm. Some of our visitors’ favorite memories are of lounging and watching the playful antics of the monkeys just outside. Playa Manuel Antonio is the beautiful public beach, and it is bursting with fun and energy. Grab a drink or a quick snack at one of the beach side restaurants, walk down the lane where vendors sell their hand-made goods and jewelry, or rent a beach chair and relax in the warm Costa Rican sunshine. The local surf crowd washes in with the high tide, and it’s great fun to watch the experienced surfers shred waves (or hide a smile as the inexperienced surfers splash into the water). The National Park also feature 4 lovely beaches. You will have pay the entrance fee to the Manuel Antonio National Park to gain access to these sandy shores, but if you are looking for a more private, relaxing beach experience, then this is the place for you! Just remember to bring snacks and a cooler if you plan on staying all day—there are no stores, restaurants, or shops inside the National Park. Manuel Antonio is unique in that it is much easier to get to than other destinations in Costa Rica. Just a 2 hour drive from the capital city, San Jose, Manuel Antonio is very conveniently located. The highways that lead to this coastal town are all very new and in excellent condition, and the drive itself winds through lush, forested mountains and follows the stunning coast line, passing the well-known city of Jaco on the way to Manuel Antonio. Rental cars, shuttle services, and private drivers are all readily available in San Jose and will happily transport you to your destination. Not a fan of driving? Take a plane! Both Nature Air and Sansa airlines have terminals in San Jose and make frequent flights to the Quepos Airport, just 5 minutes from Manuel Antonio. The flights are an incredibly short 20 minutes! 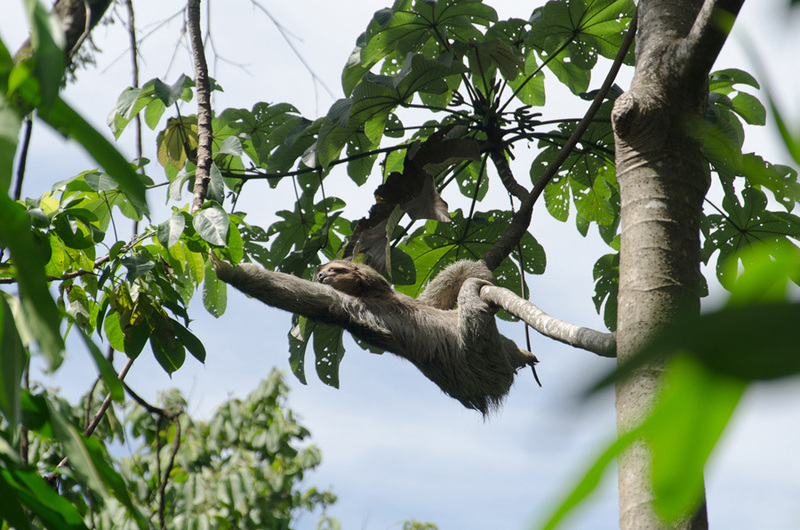 Just keep in mind that Nature Air and Sansa have strict luggage weight limits, so it’s best to weigh your luggage before you jet set off to your Manuel Antonio vacation! Manuel Antonio has something to offer everyone. From the relaxing activities, like drinking cocktails on the beach or birdwatching, to the adrenaline pumping adventure tours, Manuel Antonio will have something to excite and entertain you. High speed adventures here include canopy zip line tours, ATV tours, waterfall rappelling and whitewater rafting. Those into water sports will enjoy sea kayaking, snorkeling, scuba diving, surfing, and boogie boarding. Calmer Manuel Antonio tours include horseback riding, catamaran tours (where you’ll likely see dolphins and possibly whales! ), spa visits, and nature hikes. Manuel Antonio truly has it all! If you are interested in any specific tours or activities, the helpful Villa Manuel and The Loft staff will be happy to assist you in booking tours or recommending their favorite activities. The main road that runs through Manuel Antonio is literally flanked with dozens of restaurants. Anything from gourmet meals to traditional, Costa Rican eateries can be found in this town. There are a variety of affordable restaurants and many of them boast some absolutely breathtaking ocean views! Grab a delicious pizza at the nearby Vitorias restaurant, eat a burger at Cafe Agua Azul while enjoying their amazing sunset views, or take your kids to see the real, full-sized plane inside El Avion bar and restaurant. If you’re looking for a great night out, you’re in luck! Manuel Antonio also has a bustling nightlife. Bambu Jam restaurant and bar offers live music, DJs, dancing, and ladies’ nights, and most restaurants will happily serve you a beer or pina colada at any time of day. Just 10 minutes away, the nearby town of Quepos also offers up some delicious restaurants and night clubs. El Gran Escape restaurant is always recommended, and the discotech Republik is a great place to get your groove on in the late night hours.